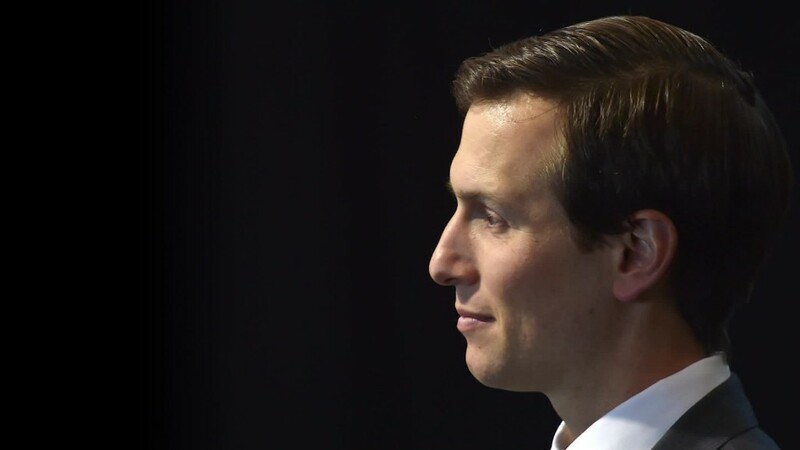 The Maryland attorney general is investigating one of the Kushner family's real estate businesses after media reports surfaced earlier this year about allegedly abusive debt collection practices and poor conditions at several of its properties. Kushner Companies said it is cooperating with Attorney General Brian Frosh, Maryland's top legal officer. "We have been working with the Maryland Attorney General's Office to provide information in response to its request," Kushner Companies told CNN through a spokesperson. "We are in compliance with all state and local laws." A Baltimore-based attorney is working with Kushner Companies on the matter, according to a person familiar with the attorney general's inquiry. A spokesperson for the AG's office declined to comment, citing a policy of not confirming or denying investigations. The inquiry does not mean charges will be filed. This spring and summer, media reports exposed allegedly coercive tactics and inadequate maintenance in multifamily housing developments run by Westminster Management or related entities. An affiliate of Kushner Companies, Westminster manages about 17 properties in Maryland, including developments in Baltimore, Middle River and Essex, according to its website. Kushner Companies has been under the microscope since President Trump's son-in-law, Jared Kushner, entered the political scene — first as Trump's confidant during the 2016 campaign and now as a senior White House adviser. A Kushner financial disclosure form shows income of $1.6 million from Westminster. A White House spokesman declined to comment. Kushner, married to Trump's daughter Ivanka, stepped down as CEO of his family's namesake business in January and recused himself from certain policy issues since joining the White House. But those measures haven't fully shielded the company from allegations of conflicts of interest and criticism from political foes of the administration — as well as more scrutiny from the press. In May, The New York Times and ProPublica detailed "poor upkeep" inside developments run by Westminster, including appliance failures, mold and mouse infestations. The report also documented unsavory debt collection tactics. In addition, The Baltimore Sun reported that Kushner-affiliated businesses were "the most aggressive in Maryland" in seeking civil arrests of tenants who owed the company money. Kushner Companies defended its methods. Responding to the Sun, the company's chief financial officer said the firm "follows guidelines consistent with industry standards" and state law when it files legal action. Westminster Management, "only takes legal action against a tenant when absolutely necessary," said Kushner Companies' CFO Jennifer McLean in a statement to the Sun. In August, Democratic lawmakers cited the stories in a letter to Kushner Companies, requesting answers to questions on matters including alleged housing code violations and federal subsidies from the U.S. Department of Housing and Urban Development. They were seeking a response by September 8. "If these reports are accurate, they raise very serious and troubling concerns about whether Kushner Companies and its subsidiaries are complying with HUD's housing quality standards to ensure the safety and health of their own tenants," wrote the lawmakers, who included Representative Elijah Cummings of Maryland, the top Democrat on the House oversight committee. In response, Kushner Companies issued a public statement reiterating that the company exercises its "legal rights under the relevant provisions of the Maryland law." But Kushner Companies did not provide specific answers or produce documents, according to Cummings, who wrote a letter last week asking oversight committee chairman, Republican Trey Gowdy, for help. In the letter to Gowdy, Cummings said his staff called Kushner Companies six times and were told "no information would be provided." In a separate matter, Frosh and the attorney general of the District of Columbia are suing Trump, alleging that his business interests violate the Constitution. The attorneys general are asking a court to block Trump from accepting foreign money.